Window treatments are considered one of the most dangerous items in the average home. Although they are much safer than blinds, window shutters can be dangerous once they have reached their expiry date. Most people replace their window treatments around once every 7 years. If you have no idea when last yours were replaced, take note of these tell-tale signs that the time is near. Broken or warped slats and peeling paint not only look unattractive, but they can be a sign that failure is imminent. Fading is to be expected over time, but this lightened shade means that your shutters are not as effective at keeping the light out as they once were. Even worse, if your shutters are letting little shafts of light into the room when they’re closed, the lifting mechanism could be on its way out. Are you never quite sure what is going to happen when you try to open or close your shutters? A damaged lifting mechanism is a sign that your shutters could be about to stop working altogether. Alternatively, your shutters could be incorrectly installed. The slats may be too long and heavy for the mechanism that is attached to them. Eventually, the whole thing will pull apart under the load. Look into replacing faulty shutters as soon as possible for safety’s sake. If your shutters rock and roll at the slightest movement of air, there is trouble brewing. This applies to both the indoor and outdoor varieties. Should one of your shutters detach itself from the wall during a strong wind, it can cause serious damage on its way down. Check that your shutters are still firmly attached to the wall every time you clean them. There are only so many times that you can re-fasten them. Rather replace these faulty window dressings with new custom-designed window shutters that are correctly fitted. If you’ve just completed a refurb on your house, chances are your new windows aren’t quite the same size as your old ones. 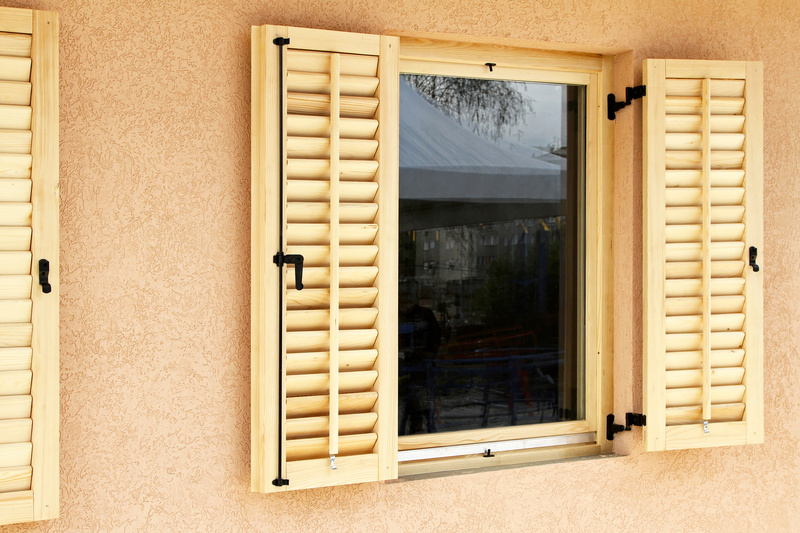 This is a great time to invest in some new shutters. The best way to ensure a perfect fit is to get hold of a company that designs custom window treatments to craft them for you. Let’s face it, it’s time for you to part ways with your window shutters. That charming style you loved so much at first just doesn’t do it for you anymore. When your shutters are starting to fill your heart with resentment or despair investing in new ones is just what the doctor ordered. Modern shutters in the latest style can increase the value of your home, so it’s all for a good cause. When you’ve finally decided to put your tired, old window shutters out of their misery, get in touch. We will send our team of professional installers to make recommendations and give you an estimate of the cost involved. You’ll be so glad you decided to upgrade.